From Winston-Salem to Wilmington, North Carolina is home to one of the largest collections of art venues in the region. Head to lively Raleigh where you’ll find the North Carolina Museum of Art (NCMA), or visit artsy Asheville where you’ll find the intimate Asheville Art Museum. Other excellent art venues include Ackland Art Museum of the University of North Carolina at Chapel Hill, Greenville County Museum of Art in Greenville, Cameron Art Museum in Wilmington, and the Weatherspoon Art Museum of the University of North Carolina in Greensboro. If you’re wondering why the North Carolina University system has so many fine art museums, it’s because art is one of the top industries here. This means, North Carolina is an excellent place for aspiring visual artists. Just a few of the state’s most popular colleges for artists include University of North Carolina School of the Arts in Winston-Salem (UNCSA), East Carolina University in Greenville, North Carolina State University in Raleigh, and Elon University in Elon. Continue reading to find out which North Carolina schools offer the best programs for aspiring visual artists and where to find them. North Carolina is home to 139 Title IV degree-granting colleges and universities. North Carolina’s large collection of colleges and universities offer a variety of programs for aspiring artists from animation and filmmaking to visual arts. In addition to a wide variety of art programs, these accredited schools offer BA, BFA, MA, MFA, and even PhD degrees in all areas of art. Scroll through the list below to review North Carolina’s most popular options for aspiring visual artists and the types of programs they offer. North Carolina is home to 40,150 individuals working in Arts, Design, Entertainment, Sports, and Media (ADESM) occupations. They average $49,350 per year up from $44,950 in 2009 when the state was home to 38,050 ADESM professionals. Of the 40,150 salaried ADESM professionals living in North Carolina today, 5,260 are graphic designers averaging $46,180 per year, 1,620 are producers and directors averaging $54,980 annually, 790 are multimedia artists and animators averaging $60,800 per year, 460 are fine artists (painters, illustrators, sculptors) averaging $47,420 per year, and 360 are art directors averaging $84,800 per year. It is important to note that many artists, especially visual artists, are self-employed. This means it is safe to assume that the population of visual artists in the North Carolina is much higher. These individuals typically to earn more as well. In fact, according to the Bureau of Labor Statistics (BLS), the “Independent Artists, Writers, and Performers” ‘industry’ is one of the highest paying industries for artists working in most areas of art. Independent ADESM professionals earn $70,620 per year (average) and this group has the highest concentration of employment (not the highest level of employment) for ADESM professionals. Nationwide, the median annual wage for art and design occupations was $43,100 in May 2014, which was higher than the median annual wage of $35,540 for all occupations. In addition, according to the BLS, employment of art and design occupations is projected to grow two percent from 2014 to 2024, which is slower than the average for all occupations, adding about 16,700 new jobs. Projected growth, says the BLS, will be due to increased demand for animation and visual effects in video games, movies, television, and on smartphones. As companies continue to increase their digital presence, more art and design workers will be needed to help create visually appealing and effective layouts of websites and other media platforms. The states with the highest employment levels for ADESM professionals are California, New York, Texas, Florida and Illinois. 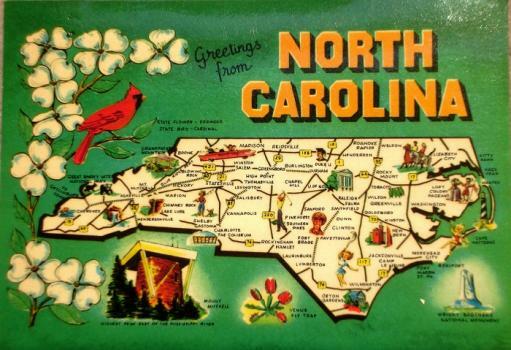 Aspiring visual artists living in North Carolina may increase their chances of landing a position in the industry by exploring the states larger cities. These include Charlotte, Raleigh, Greensboro, Durham, Winston-Salem, Fayetteville, Cary, Wilmington, and High Point. Although smaller than these cities, Chapel Hill is worth looking into as well.